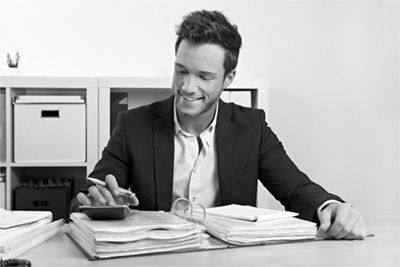 Facing a tax audit can be one of the most frightening and stressful events in your life. Not to mention it can be time consuming and end up costing you more money than you need to pay. The problem is that most people do not know or understand their taxpayer rights, including the right to have representation before you meet with a taxing authority and the right to have that representative discuss and dispute any issue raised during the audit. Tax laws have become ever more complicated and confusing and the changes that occur every year make it almost impossible to stay current on the law. Many people facing an audit may have made a simple mistake that could end up costing additional taxes along with expensive penalties and interest. If notified of a tax audit, your first call should be placed to a tax professional. Whether it is an IRS audit or an audit by the state or city, you should not handle it alone. It is important to have the best tax and legal professional working for you. That is where Brunsdon Law Firm can serve your needs. Whether it is a federal tax audit, state sales tax audit, employer tax audit, state income tax audit or city income tax audit, the auditor has in-depth training on the tax laws. So why face a trained tax professional alone? Instead, you should hire your own legal and tax professional to protect your interests. When you choose Brunsdon Law Firm you get Terri Brunsdon, an attorney and a CPA with a Masters in Tax. So what exactly does that mean for you? You now have a legal and tax professional on your team so you are better equipped to understand what the auditor is looking for during the audit. You have access to a trained tax and legal professional to help you prepare for the audit, which can result in less time needed to complete the audit. You have a tax and legal representative to meet with the auditor during the audit. You have guidance on what to do if you do not agree with the auditor’s proposed adjustments and advice on taking timely steps to protect your appeal rights. You have access to procedures that can be used to abate any tax penalties. Bottom line, with Brunsdon Law Firm you have a tax and legal representative on your team to protect your interests. So, if you are contacted for a tax audit, do not face a trained tax professional alone when you can have a trained legal and tax professional working for you. To make sure you get the legal and tax audit representation you deserve, simply call Brunsdon Law Firm at 330.374.1166. You can also email us at [email protected], but please do not include any details about your issue or you may jeopardize your confidentiality.